GDG Wayfarer Bag is your go-to duffle style bag that features a slip-on back panel sleeve that secures bag over wheeled luggage handles and a detachable messenger strap for extra comfort on the go. 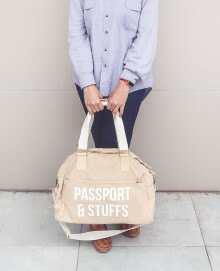 And despite its spacious capacity, The Wayfarer Bag is designed to perfectly fit underneath most standard airplane seats. 2. 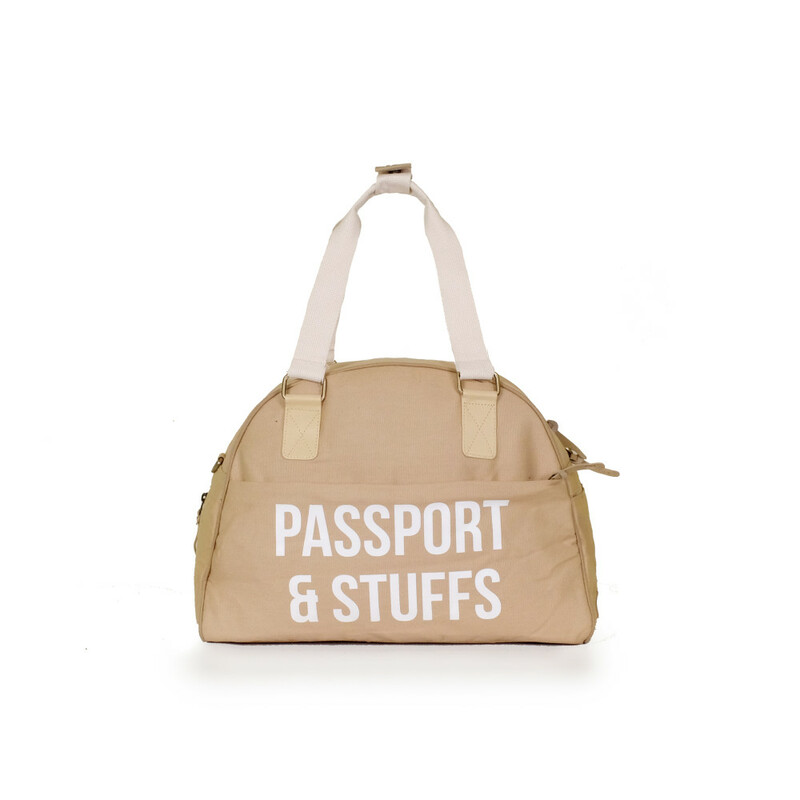 Front pockets for easy-to-access to essentials with key clips and knick-knack compartment. 5. 3 pockets in the inner compartment for neat organization. 6. 4 feets on the bag base for durability. 7. Short handle and messenger straps made of heavy duty cotton webbing for timeless look and comfort. 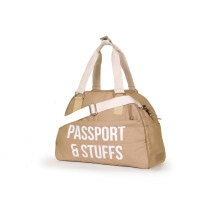 Material: Canvas Exterior, Waterproof Nylon Fabric Interior, Faux Leather Trim, and Bronze Colored Metalware. Care Instructions : If your bag gets wet (as in really wet, not just damp), empty the contents and let it air dry.For general stains or discoloration to the canvas, treat with a commercial fabric cleaner, or blot with tepid water and a soft cloth. 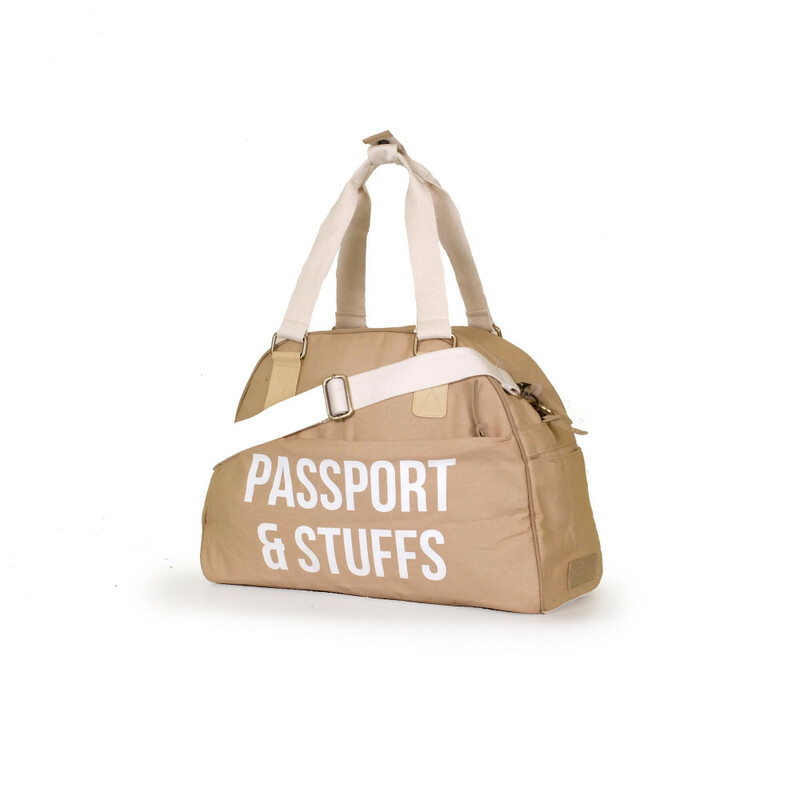 Screen Print Options :Cabin Luggage, Harmless Stranger, Time Traveler, Global Citizen, Passport &Stuffs, Mini Boss Maxi Bag. This bag is considered a versatile bag that can be used as an overnight bag, gym bag, daily commuting bag, and even diaper bag.